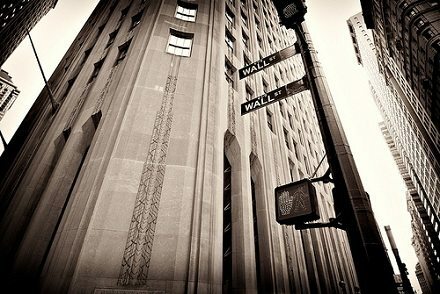 The nonprofit, nonpartisan Better Markets describes itself as “the public’s voice in the fight to reform and strengthen our financial system so it never needs a taxpayer bailout or threatens to plunge our economy into chaos again.” That work includes fighting for the full enforcement of the Dodd-Frank financial regulation law and pointing to recent events, such as JPMorgan Chase’s recent announcement that it lost $2 billion or maybe $3 billion, as more evidence (beyond the bank practices widely considered to have instigated the global economic crisis that came to a head in 2007) that our markets are in need of more strict regulation. There seems to be no question that Kelleher and Better Markets are outmatched when it comes to lobbying firepower on Capitol Hill, but this nonprofit is clearly trying to make the argument that they are the bearers of the public interest when it comes to financial regulation, and the Times indicates that Kelleher has had some success at gaining the ear of regulators, including Commodity Futures Trading Commission Chairman Gary S. Gensler. It was a nonprofit communications dream. On Sunday, as part of his unique brand of political performance art, HBO’s John Oliver took on the practices of medical debt collection and highlighted the work of the nonprofit RIP Medical Debt.